Epcot Character Spot, located in the heart of Future World at Epcot, is being expanded to give you an opportunity to meet even more of your Disney friends. 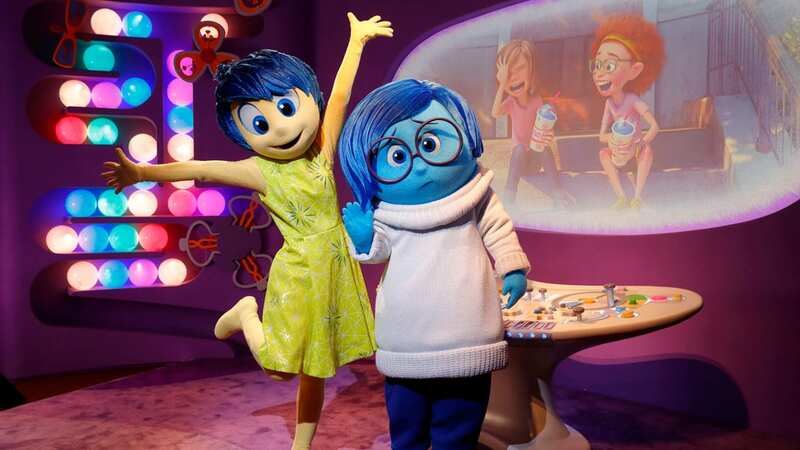 And beginning next month, Epcot Character Spot will provide direct access to Headquarters, where you can meet Joy and Sadness, two of the Emotions who help guide Riley through life in the Disney•Pixar film “Inside Out.” On the way to Headquarters, you’ll journey through Riley’s long-term memory, catching a glimpse of her Islands of Personality before joining Joy and Sadness at the console. 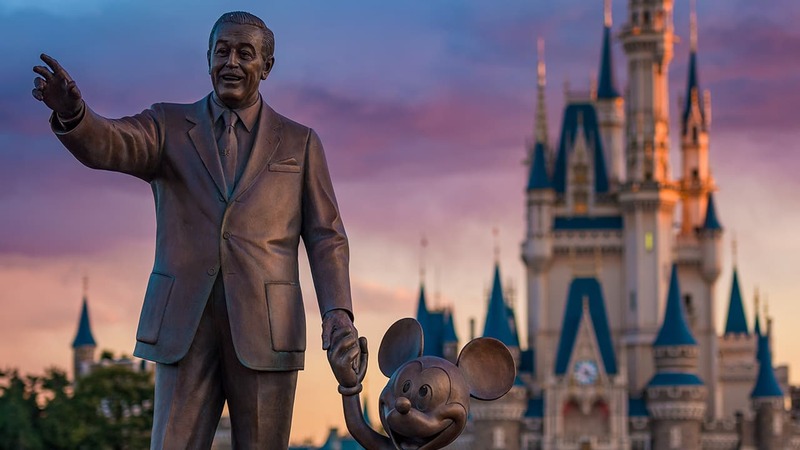 Epcot Character Spot is definitely shaping up to be a prime location for creating unforgettable memories with classic Disney characters. Who are you most looking forward to seeing? Is there an update on when joy and sadness will be arriving? I’m going to admit it – I was late to the Inside Out party – I just watched it last night on a plane! It is so good – as a mom, I laughed out loud, I teared up and thought it was such a smart movie! So, here is one more person who is excited to meet Joy and Sadness! Will Baymax and Hiro ever have a spot at Disneyland? Maybe in the new Tomorrowland? It was so much fun to see them and Baymax is an incredible and fascinating thing to see. Is there a date that they will be there starting in April? We are there April 1st and 2nd and my girls love Inside out and would love to meet them! Will they still be there in September? My 2yr old is stuck on this movie. But it’s sad cuz Big Hero 6 was the first movie she ever sat through she loves Baymax too. Also where is this character spot? Melinda – Epcot Character Spot is in Future World, in the breezeway leading from the central fountain area toward The Land pavilion. And you should be in luck! Both Baymax and Joy & Sadness are new, daily additions to the Epcot character lineup. Great news! Will it be one line for Joy, Sadness AND Baymax or separate lines? We are visiting April 2nd…will they be there starting April 1st? Erin – They will be in the same general area, but are completely separate locations with separate queues. I agree it’s nice to see the new characters waking up the Epcot Character Spot–Which used to be just a hidden location (was that the bonus for Visa card holders? ), but now is a fun reliable go-to for parents on an Epcot trip who don’t know where to find Mickey, Goofy or the World Showcase princesses. Putting new-generation characters in would really spark up the site, and get fans to beat a path to its door, but like Mickey’s “future clubhouse”, it has to have an Epcot feel to fit in with the Future World section– Baymax was the Future, and Inside Out represented Imagination, but you couldn’t really do that with Zootopia or Moana, could you? We are staying from April 6th through the 9th. Will they be there when we visit? I took my kids to Disney World last year, where they met Baymax at Disney’s Hollywood Studios. That was probably the most magical moment in their lives. They love Big Hero 6, and the experience of meeting Baymax will be with them forever. Will Joy and Sadness be coming to the Disneyland Resort? I’m a CPA, and it’s currently the most hectic time of year. So my fiance and I are taking the 4 days after tax day (tax day is April 18th this year) off and staying at WDW. This is now the 2nd exciting thing announced in the last week to add to the list of things to look forward to! Like Baymax’s new spot, it’s nice that Epcot can fill in, but new characters are all about the Movies–They deserve to have their own spot at the Studios, when all the new construction is done. So excited! Adding this to the itinerary for my November trip! How about getting them and Baymax at Disneyland Resort? Please! Does the FastPass for Epcot character spot include all characters there? Melissa – A Fastpass+ selection for Epcot Character Spot still just applies to the original space where you can meet Mickey, Minnie and Goofy. This is amazing! My son will be so excited to see them for his 3rd birthday. He loves both of the movies. Any plans to have them come to the Disneyland Resort? I want to meet Joy and Sadness more than you can imagine! Tracy – We don’t have an exact date to share, but it should be early April, so you’re in luck! Would love to see a joint meet and greet with Duffy and ShellieMay!!! Any chance we’ll get to meet Joy and Sadness at DLR? Can you give us an idea of what week this will start? We are visiting Disney World in April and I am wondering if this Inside Out area will be open while we are there. Thank you. So exciting! My younger daughter LOVES Baymax and she will be SO thrilled to see Joy and Sadness in the same place! Can’t wait! Will there be a fastpass+ option to meet with Joy, Sadness, and Baymax? Jimmie – Fastpass+ won’t be available for these new character locations, just for the original space with Mickey and his pals.